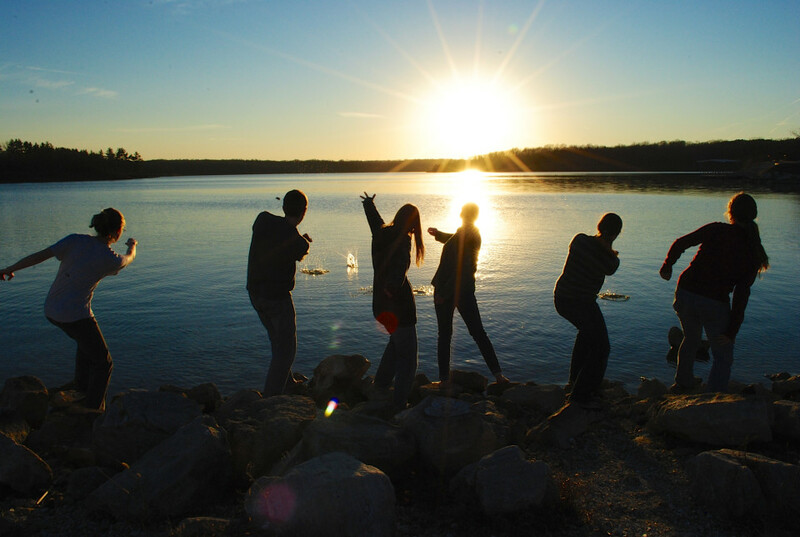 This 3,215-acre park has numerous attractions, including a marina, beach, dining lodge, trails, cabins, camping, fishing, and Native American petroglyphs. Spend a day or a week! Thousand Hills is located at 20431 State Highway 157, just south of Highway 6 on the northwest end of Kirksville. 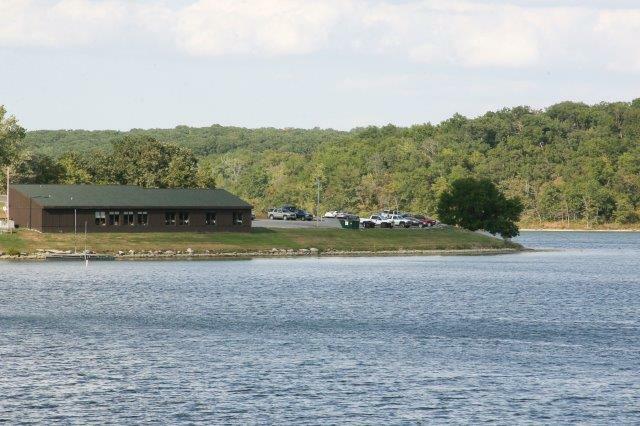 For a map of the park itself, print a map or see more information as well as get travel directions at the Missouri State Parks Thousand Hills page. 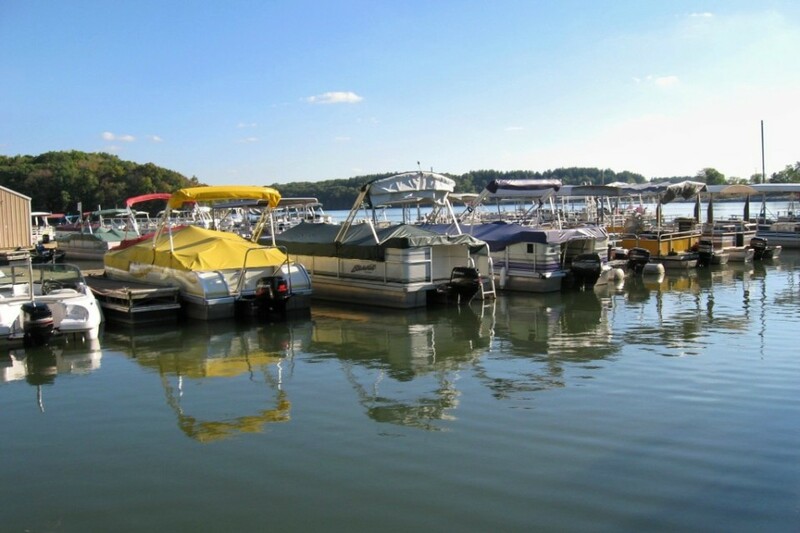 The marina offers boat rentals including paddle boats, canoes, kayaks, pontoon boats, and fishing boats; touring bicycles are also available for rent. Located on Forest Lake, there is easy access for all types of recreational activities for the whole family. Forest Lake allows boats with more than 90 horsepower on the lake at no wake speeds, personal watercrafts (jet skis) are not allowed. Private boats must purchase a city permit. To reach the marina, call 660-665-3712. Forest Lake, located in the middle of the park, contains Largemouth Bass (limit -6 per day), Walleye (limit-4 per day), Channel Catfish (limit- 4 per day), and Crappie (limit-20 per day). See more on how to obtain a Missouri Hunting or Fishing Permit. 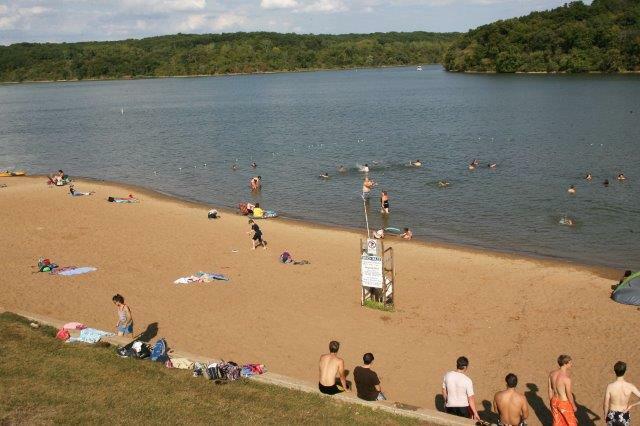 The swimming beach is open seven days a week during the summer, Memorial Day weekend through Labor Day weekend. The beach is available for swimming at no charge. There are dressing rooms and showers, as well as vending machines. No lifeguards are on duty at the swim beach. 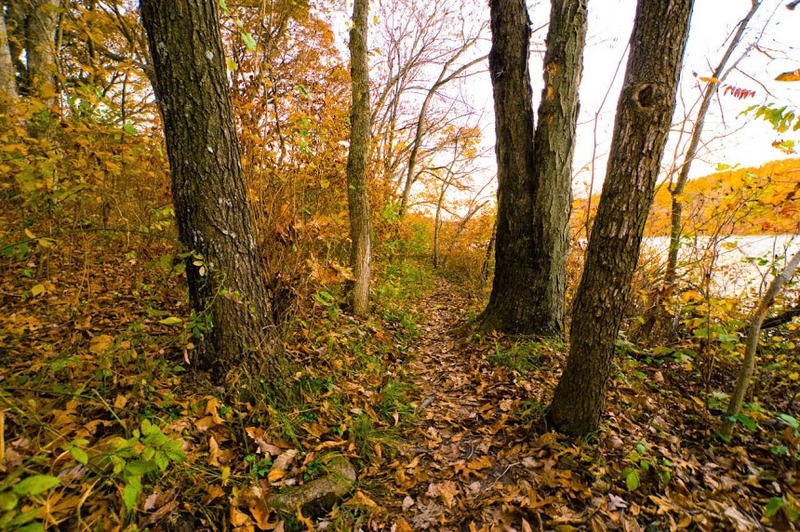 The park has three trails perfect for hiking, bicycling, mountain biking, and backpacking. 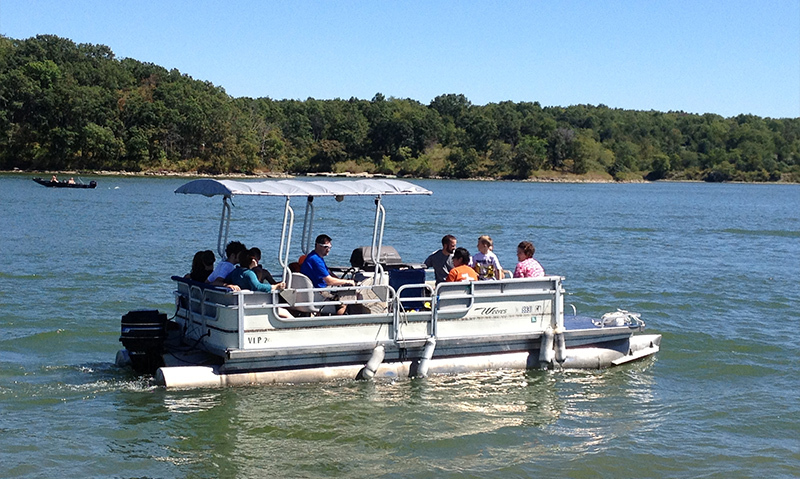 The Red Bud Trail, Oak Trail, and Thousand Hills Trail are close to the marina and dining lodge. Rock formations containing historic Native American carvings can be found in a sheltered exhibit. Visitors can walk on a path along the shelter walls to read information about the petroglyphs and then match up their symbols on the rocks below. Located in the heart of Thousand Hills State Park, this picturesque dining lodge on Forest Lake serves a wide variety of foods. Reservations are recommended for dinner. For more information, call the Thousand Hills Dining Lodge at 660-665-7119. 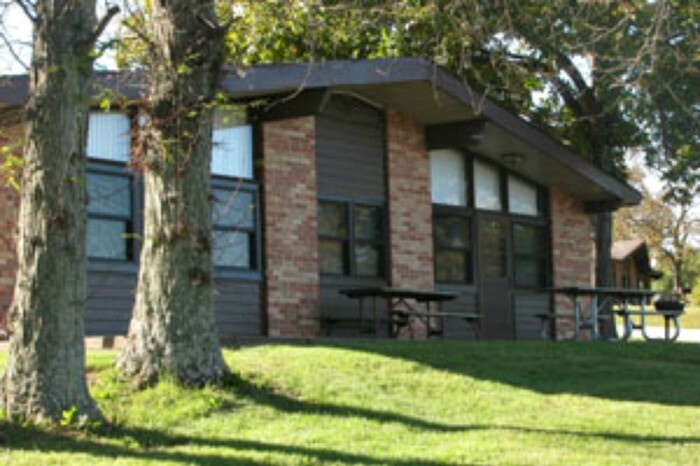 The Park features seven duplex cabins overlooking Forest Lake, open March through November. All cabins have air-conditioning/heating, linens and towels, bath with shower, patio, picnic table, barbecue grill, color TV, stove, refrigerator and microwave. For more information on the cabins, call 660-665-7119. Thousand Hills State Park has 57 campsites available. There are 15 basic sites and 42 with 30 amp electric hook ups. Approximately 2/3 of the sites can be reserved, while 1/3 of the sites are on a first come first serve basis. For more camping information, call 660-665-6995. Please visit the Thousand Hills State Park website for more information.